Boil the eggs for 12-15min. Cool it and remove the shell. Take a small bowl and mix grounded pepper with salt and few drops of oil . .Fry on both the sides add some more oil and pepper while frying. 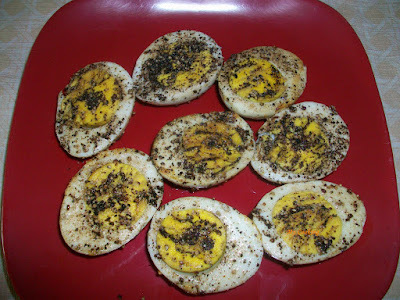 do not fry the boiled eggs for longtime . It goes well with biryani , variety rice and with rasam sadham also.